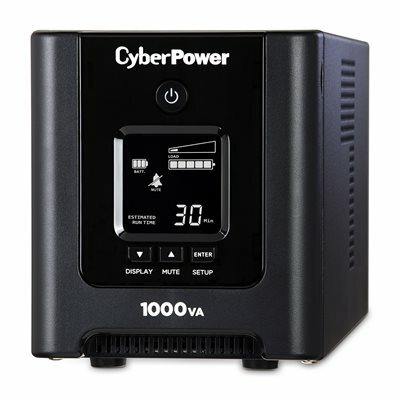 The CyberPower PFC Sine Wave OR1000PFCLCD mini-tower UPS with Multifunction LCD and pure sine wave output is Active PFC compatible for safeguarding networking devices, small office servers, workstations, and telecom equipment that use conventional and Active (PFC) power supplies. Its Automatic Voltage Regulation (AVR) technology delivers clean and consistent AC power. This UPS system is patented GreenPower UPS Bypass circuitry to save on energy costs by reducing energy consumption and heat buildup. 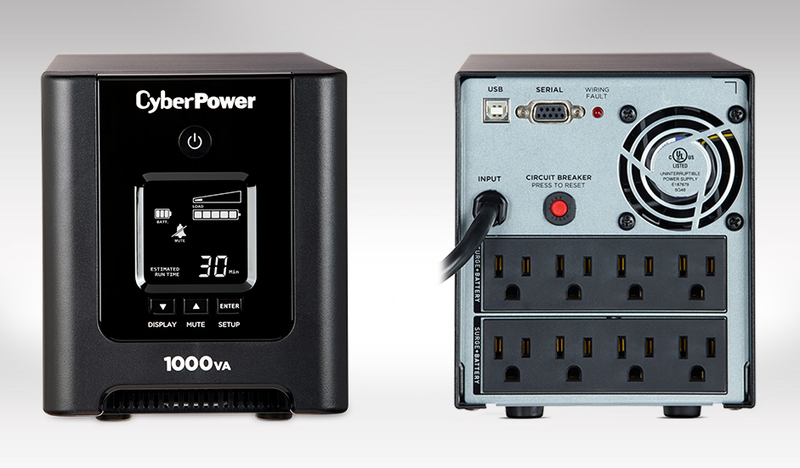 The OR1000PFCLCD unit has a capacity of 1000VA/700W, eight (8) NEMA 5-15R receptacles and two (2) maintenance-free, user-replaceable 12V/8.5Ah batteries. The front LCD panel displays all major UPS vitals for ease of use. EMI/RFI filters decrease the susceptibility of the load to noise disturbances. This product comes with a with a $200,000 connected equipment guarantee. See user manual for details.